In the last decade, exosomes have gained interest as a new type of intercellular communication between cells and tissues. Exosomes are circulating, cell-derived lipid vesicles smaller than 200 nm that contain proteins and nucleic acids, including microRNAs (miRNAs), and are able to modify cellular targets. Exosomal miRNAs function as signalling molecules that regulate the transcription of their target genes and can cause phenotypic transformation of recipient cells. 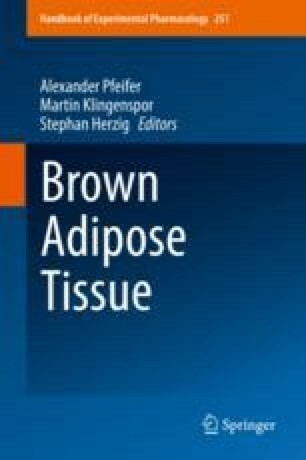 Recent studies have shown that brown fat secretes exosomes as a form of communication with other metabolic organs such as the liver. Moreover, it has been shown that levels of miRNAs in BAT-derived exosomes change after BAT activation in vitro and in vivo. Thus, BAT-derived exosomes can be used as potential biomarkers of BAT activity. Here, we review the present knowledge about BAT-derived exosomes and their role in metabolism.